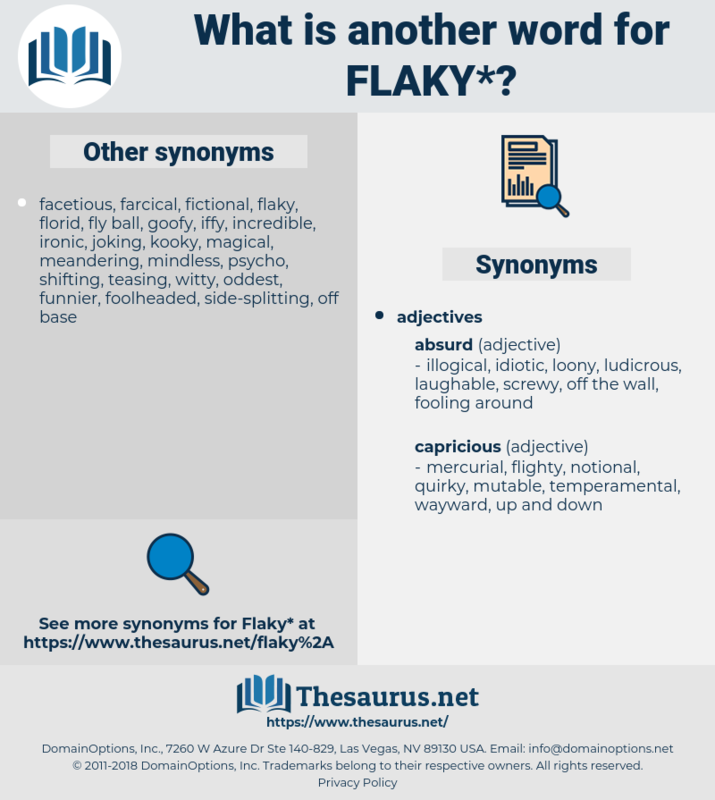 What is another word for flaky? 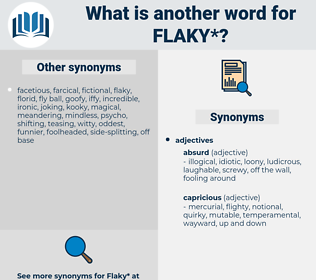 Consisting of flakes; breaking off in flakes. sturdy, pliant, resilient, strong, elastic, flexible, conventional, tough, pliable. On the bed lay a dark mass, like bed clothes and bedding not quite turned to dust - they could yet see something like embroidery in one or two places - dark like burnt paper or half - burnt flaky rags, horrid as a dream of dead love! Our talk flagged and the fire grew gray in its flaky ashes before Fanny again appeared.